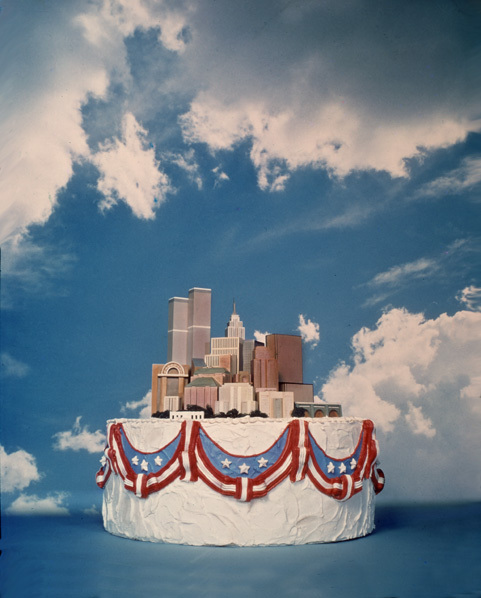 Happy Birthday, New York, 1976: done for a TV ad for the bicentennial celebration, about 3' tall. 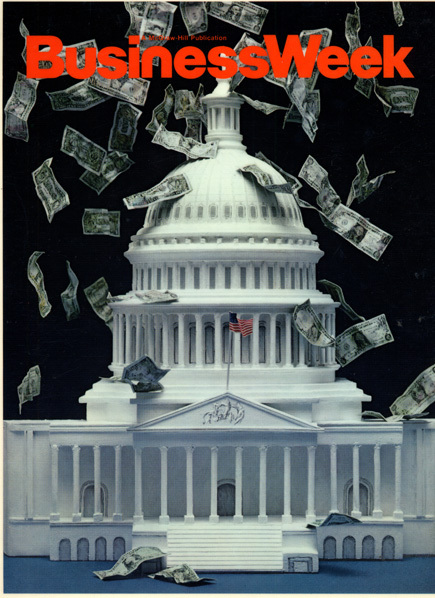 Capitol Building with Rain of (inflationary) money: Newsweek cover on inflation worries. 20" tall. Statue of Liberty Arm with Digital Watch: Life size arm, cast in plaster composition and re-sculpted to resemble the real Lady Liberty's hand and arm. 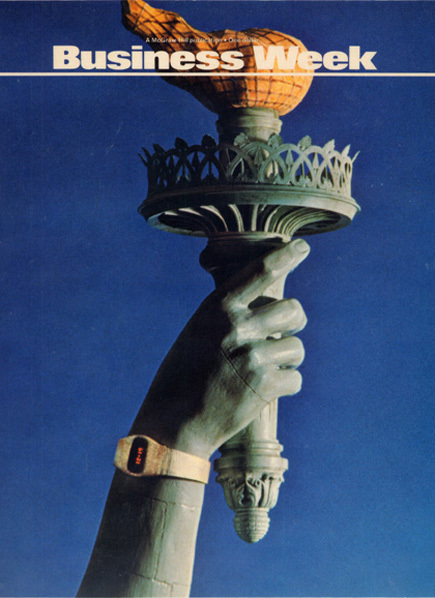 Torch is turned and carved wood, the whole done for a Business Week cover story on the return of the digital watch industry to the United States. 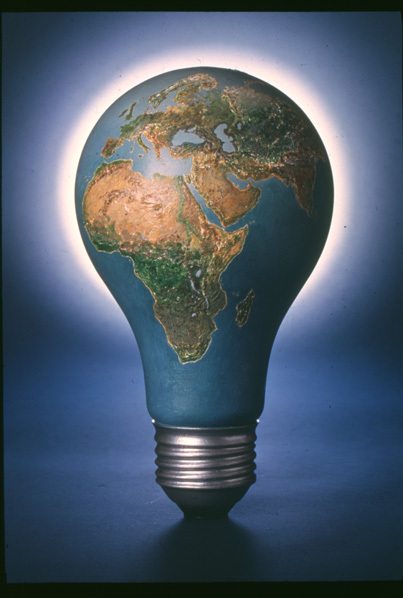 World on a Light Bulb: Ad for United Technologies describing their part in building infrastructure in developing countries. 28" tall. CEO of Prudential Life as a Piece of the Rock: Mt. 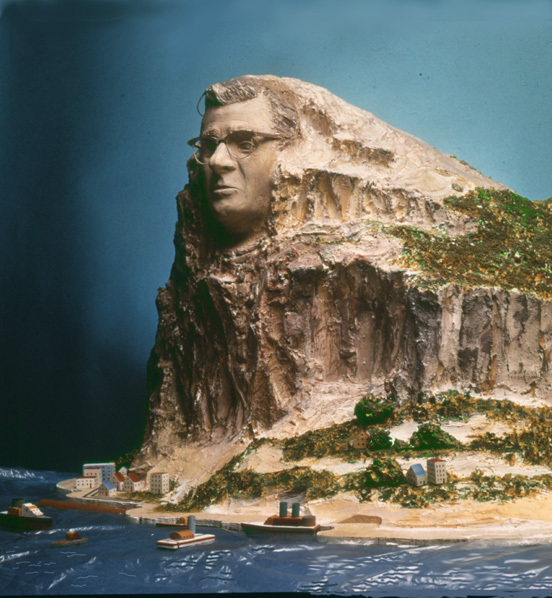 Rushmore style, face was carved of wood, and set into the Rock of Gibralter, made of wood and plaster-like composition material, carved like rocks. 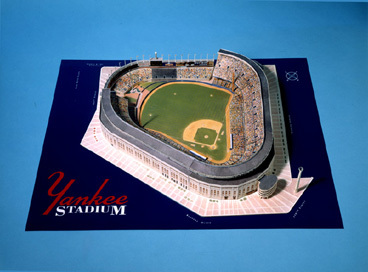 Yankee Stadium model: paper model whose parts you can pop out, glue together, and build from a kit, About 28" across. We still have some for sale, by the way. 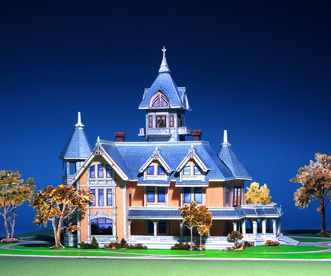 Victorian Mansion: Spec. 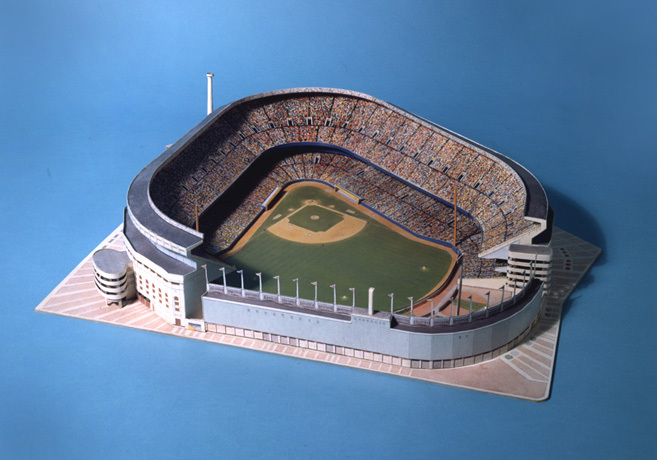 model for a kit model, to be popped out, glued together and built. about 32" long. 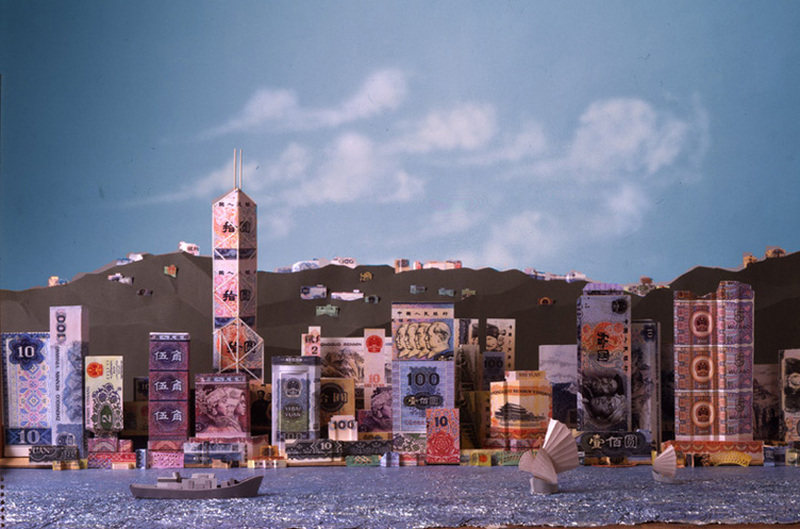 Hong Kong Skyline: made of Chinese Money: paper sculpture model about 3' tong, done for magazine spread. 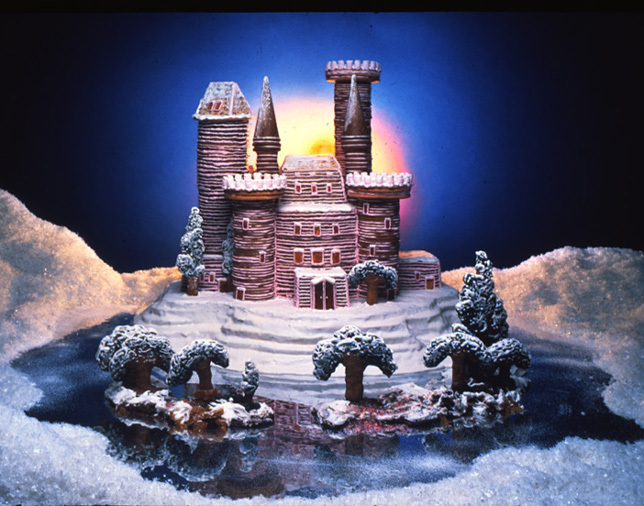 Gingerbread Castle: food sculpture made of honey cake, icing, and candy,2 1/2' long, for women's magazine, Christmas edition. 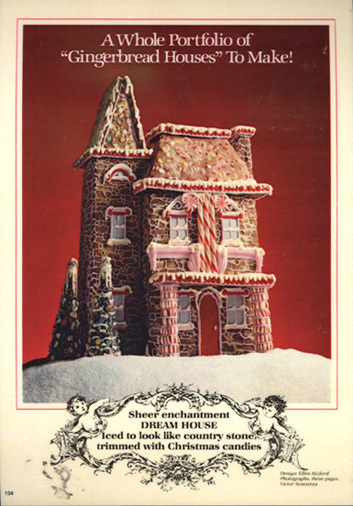 Gingerbread Mansion: food sculpture of gingerbread slabs, icing, peppermints etc. 20" tall, for women's magazine, Christmas edition. Copyright © 1999-2009 by Ellen Rixford. All rights reserved. The use of any images or other materials included herein, in whole or part, for any purpose, including, but not limited to, reproduction, storage, manipulation, digital or otherwise, is expressly prohibited without the written permission of the artist. 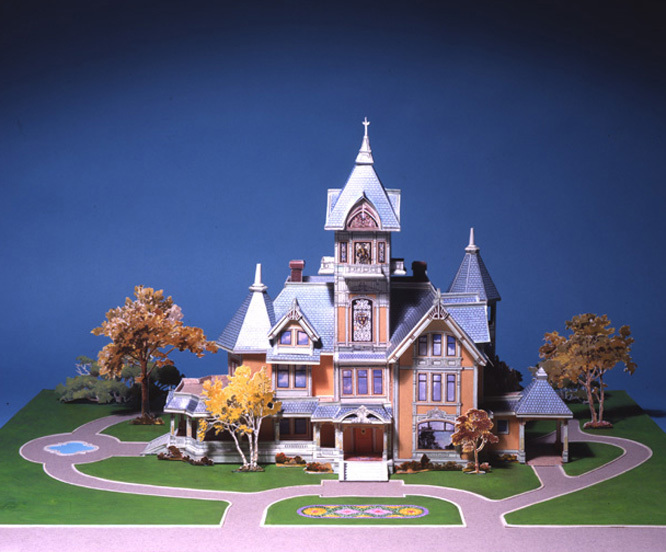 Questions or problems with this web site, contact the Webmaster.